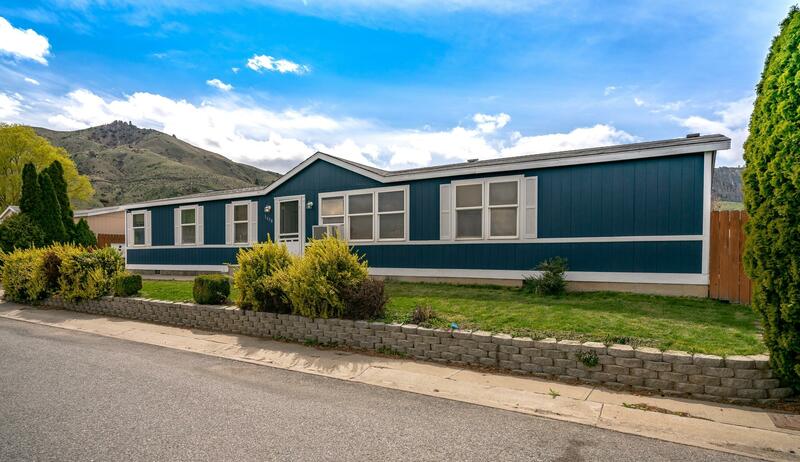 Very spacious 5 bed, 2 bath manufactured home with beautiful curb appeal and fantastic surrounding views. Open living room with lots of room to entertain, leading into bright kitchen with skylight and access to laundry room with washer and dryer. Refrigerator and stove replaced in 2018. Master bed with attached bath has soaking tub and separate shower. Completely fenced in back yard with covered patio. Off street parking available. 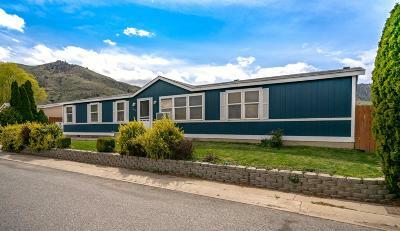 Almost 1,800 sq ft, expansive layout with lots of space and room for storage.